The Journal applies the Creative Commons Attribution (CC BY) license to all submissions published. This license enables open access – specifically, free immediate access to original works of all types. Under this license, authors agree to make articles legally available for reuse, without permission or fees, for virtually any purpose. Anyone may copy, distribute or reuse these articles, as long as the author and original source are properly cited. 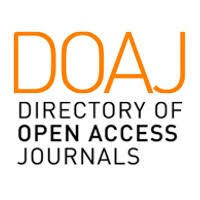 Additionally, the journal platform to publish research articles is Open Source.